Originally PHP stood for personal home page but later it changed to mean hypertext preprocessor (a recursive acronym). A PHP web site has all the features of HTML & CGI but with a lot more functionality. PHP works with your server and can take advantage of a database that is stored on a server. It can write to a database using a simple form and retrieve data from a database on request at lightning fast speeds. This means you can store things like a list of your products and have the site display them however and wherever you choose. It can also control user access allowing things like members only access to certain areas of your site. Many e-commerce sites and even Facebook are built using PHP because its easy to work with, easy to update and its inclusive security is hard to hack. 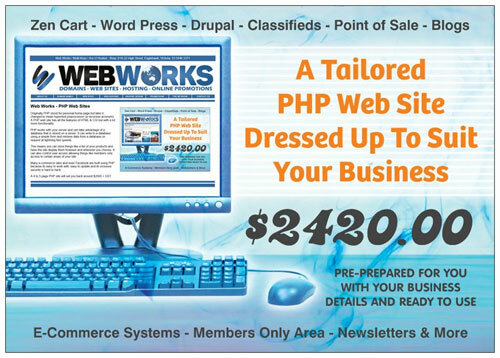 A 4 to 5 page PHP site will set you back around $2000 + GST.